“I’ve always been a good imitator. I love music. But I’m just not that original,” said James Murphy, bandleader and songwriter of LCD Soundsystem, to The New Yorker a few weeks ago. It’s true, Murphy’s music is many things, original not being one of them, but that’s the point. 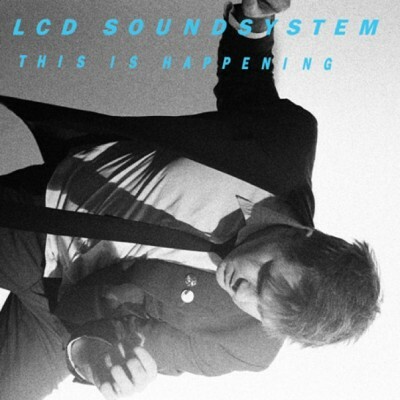 LCD Soundsystem is a great band because, like all great rock bands, Murphy distills his influences (namely Brian Eno, ’90s House, and New York in the late ’70s) and re-formats them in his own unique style. Murphy made his creative breakthrough as LCD Soundsystem with 2007’s Sound of Silver, a giant leap beyond his 2005 self-titled debut. This Is Happening, supposedly Murphy’s last under the LCD moniker, doesn’t have as many breakout moments as Silver — it doesn’t reach the peaks of “Someone Great”, “All My Friends”, or “New York I Love You…” — but it doesn’t reach Silver’s relative lows either. The result is a more consistent, though flatter sounding, album.